I can never resist a good persian rug! I found a seller via Marktplaats (Dutch marketplace) that sold a lot of rugs so I bought two from him. We cleaned them the next day and laid them in our attic. 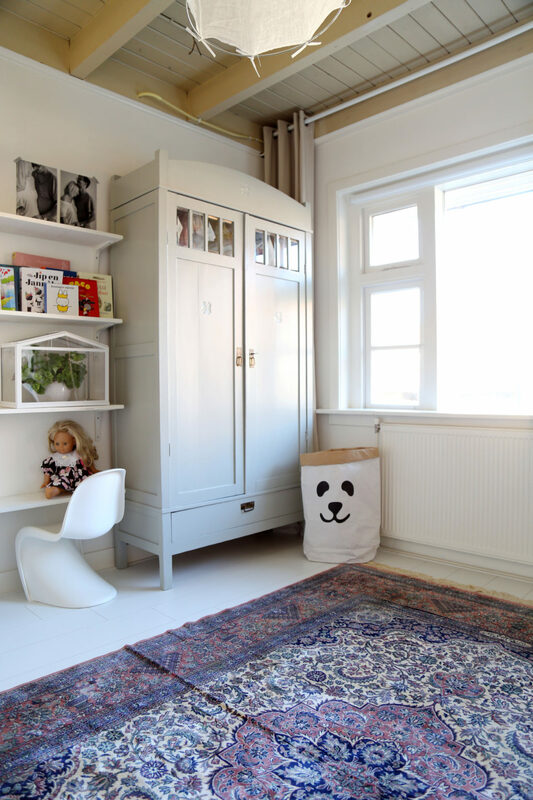 By coincidence this rug ended up in the bebe’s room and we we’re pretty stoked with the result! It matches the colors of the closets and wall so well. 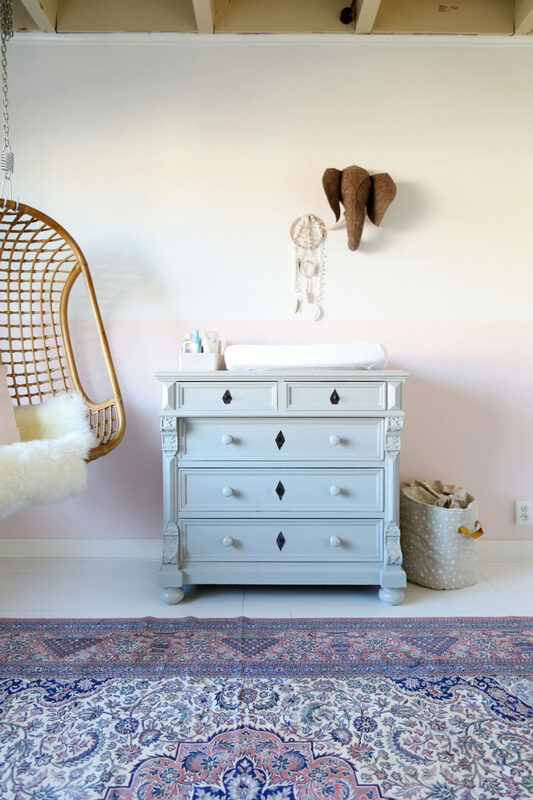 I’m still loving this grayish green for our commode and this rug sports the same color.